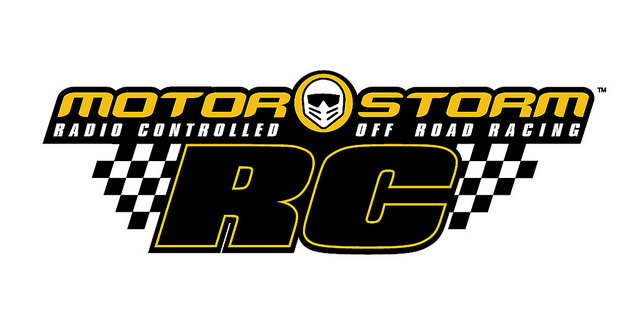 Simply put, MotorStorm has become a secondary series for Sony. Falling in between Gran Turismo and Modnation Racers on the ladder. Out of all the intellectual property that Sony owns I believe none have had harder of a time finding its break like MotorStorm has. Ya see Evolution Studios has the unfortunate task of making off-road racing games when 1) you are owned by a company that also owns Polyphony Digital (Gran Turismo) and 2) are making racing games at a time where the genre is weaker than role playing games from Japan. So why am I talking about MotorStorm right now? Simple, the fifth installment just released for the PlayStation Vita as a PSN download. Evolution Studios appears to know the situation they are in and have designed RC to be the ultimate portable off-road racing title. Shifting gears away from huge budget racing games in favor of putting things back on track in the portable/downloadable realms. I played the first MotorStorm for the PlayStation 3 a few years ago and never was really impressed. When Pacific Rift released I was much more interested in what they were doing and I could tell they had gained much needed experience developing for the system. PR was great and I spent countless hours in the Festival mode, but ended up not finishing everything in it. Arctic Edge for the Vita's predecessor the PlayStation Portable, but unfortunately was unappealing and lacked performance on a few levels. Apocalypse was amazingly fun in addition to really showing off what 3D tech in gaming could do. Here's the problem for Apocalypse, no one bought it. Amazing game, but PSN outage plus the natural disasters that slammed Japan and forced Sony to delay the game for cultural sensitivity to what actually happened to Japan vs what was on display in Apocalypse. 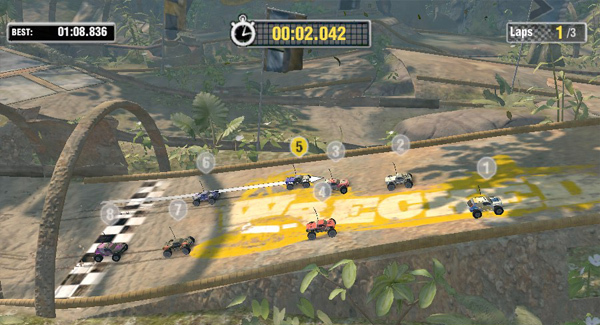 In a move that would seem to be putting this struggling series back on track is a launch window Vita MotorStorm title. How does it stack up against the others? Very well in fact. I would say Evolution Studios took a good turn here. RC has tracks that convey fast speeds very nicely, load times are short so I was jumping in and out of races with little interruption. Festival mode returns again as a fast and furious campaign mode where I was unlocking more tracks, more vehicles and expanding what I can do with the other modes in the game. The soundtrack has always been a strong selling point for the MS games. Easily keeping myself in the groove of the races and maintaining my need for speed as a driver. I'm happy to say those same feelings still hold true right here. I'm glad to see the bite sized take on the series didn't downsize the soundtrack from its rush inducing history.